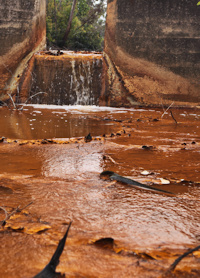 In the last decades worldwide efforts have been conducted to understand acid mine drainage and its abatement. Yet, passive and active treatment methods as well as enhanced natural attenuation are still not fully understood and need further investigations. This workshop will introduce mine water issues in general and treatment methods for contaminated mine water. During the introduction the participant will learn basic geochemical mechanisms that can be observed in mines and result in ground or surface water contamination. Simple case studies shall exemplify which environmental impacts are caused by mining and how the hydrogeological and ecological surroundings might be altered and can be limited. Usually, hydrogeologists and non-mining engineers are not familiar with the mining terms. This is also true for the situation underground, especially if it comes to historic mining and to acid mine drainage. Therefore, the ﬁrst part of the workshop aims to provide a general understanding of the terms and conditions in a mining environment. To work a mine on a medium or long term basis, the mine workings have to be kept dry. The most important mine pump types will be described and which drainage technologies might be necessary. After mining ceases, the mine workings are usually ﬂooded. To predict or calculate mine ﬂooding, it is necessary to understand the hydrogeological situation on-site. Several theoretical methods and case studies will be described and discussed along with proper sampling technic (ﬁeld trip). To develop the most advantageous treatment strategy, the temporal and spatial development of a mine ﬂooding have to be understood. Similarly, it is necessary to understand the chemical development of mine ﬂooding. Based on that data a conceptual model and a treatment option can be planned. The last part of the workshop will give an introduction to mine water treatment. Within the introduction the fundamental geochemical mechanisms that occur in mines and result in groundwater contamination will be explained. Participants with a hydrogeological as well as those with a mining background will have a common mining-hydrogeological vocabulary after the first part of the lecture. Examples will demonstrate the effects of mining towards groundwater and the environment as well as the methods in which way these effects can be remediated or avoided. Hydrogeologists often are not adequately familiar with the vocabulary used in mining. Furthermore, not each hydrogeologist is familiar with the conditions underground, especially in historical mines with acid mine drainage. These deficits will be eliminated during this part of the lecture by describing and explaining technical terms. Inside mines both local and temporal variations of water inflows with occasionally intensively alternating water volumes are observed. Selected examples show the reasons for water inrushes as well as procedures of how to reduce or avoid destructive water inflows. To run a mine in long term the excavations have to be kept dry. The most important types of pumps and their capacity will be introduced to the participants. In addition, dewatering methods depending on the kind of mine (open pit mine, underground mine) will be illustrate. There will also be an introduction concerning the installation of dewatering wells and the advantages and disadvantages of several dewatering methods. After mining activities are abandoned the open excavations normally get flooded. This needs detailed knowledge about the hydrogeological environment to conduct approximate calculations about the way the mine will be flooded. Different methods and examples including their advantages and disadvantages will be presented. Geochemical reactions are the fundamental requirement to understand the processes that go on during and after the mining activities. On the basis of the interactions of rock, oxygen and mine water the development of typical secondary minerals will be explained. There will also be an introduction to the processes of disulfide oxidation as well as the development and methods to avoid acid mine drainage. To develop the most advantageous mine water treatment system, it is necessary to predict the temporal and spatial development of the mine flooding. At this point, the most important models which can be used for mine flooding predictions will be presented. Selected examples will demonstrate the results of those predictions. Finally, the fundamental processes of conventional and alternative mine water treatment will be explained. The most common methods of mine water treatment of both groups will be explained and examples will demonstrate the processes involved in mine water treatment plants. PHREEQC is a computer program to perform a wide variety of aqueous geochemical calculations. It has capabilities for a.a. speciation and saturation-index calculations, for batch-reaction and one-dimensional transport calculations. In the course, speciation calculations will be performed to show possible mineral equilibria and their evolution during generation of acid mine drainage. Prof. Dr. habil. Christian Wolkersdorfer has 27 years of professional experience. He is a mining and geothermal hydrogeologist specialized on mine water tracer tests, mine water geochemistry and remediation. 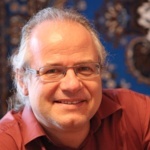 Christian Wolkersdorfer currently holds two research chairs in South Africa and Finland: South African Research Chair for Acid Mine Drainage Treatment at Tshwane University of Technology in Pretoria and Finnish Distinguished Professor for Mine Water Management at Lappeenranta University of Technology in Mikkeli. He has been teaching hydrogeology, mining hydrology, and tracer hydrology at Ludwig-Maximilians-Universität Munich und Bergakademie Freiberg, Germany and within the AEG master course of Tübingen University. He held the Industrial Research Chair in Mine Water Remediation & Management at Cape Breton University, Nova Scotia, Canada. He received his Master’s Degree and Ph.D. from Clausthal University, Germany and habilitated at Bergakademie Freiberg, Germany. A world leader in mine water remediation and management projects, Dr. Wolkersdorfer has conducted and initiated several projects related to mine water and hydrogeology in Canada, Germany, Austria, Slovenia, Brazil, the United Kingdom, South Africa, Finland and Turkey. Dr. Wolkersdorfer is also the Technical Editor for the Journal “Mine Water and the Environment” as well as the President of the International Mine Water Association (IMWA), the Industry-Academia coordinator for the Mine Water Division of WISA (Water Institute of Southern Africa) and he is a member of the Global Alliance. He published or edited more than 160 papers and book chapters relating to mining, mine water and hydrogeology.